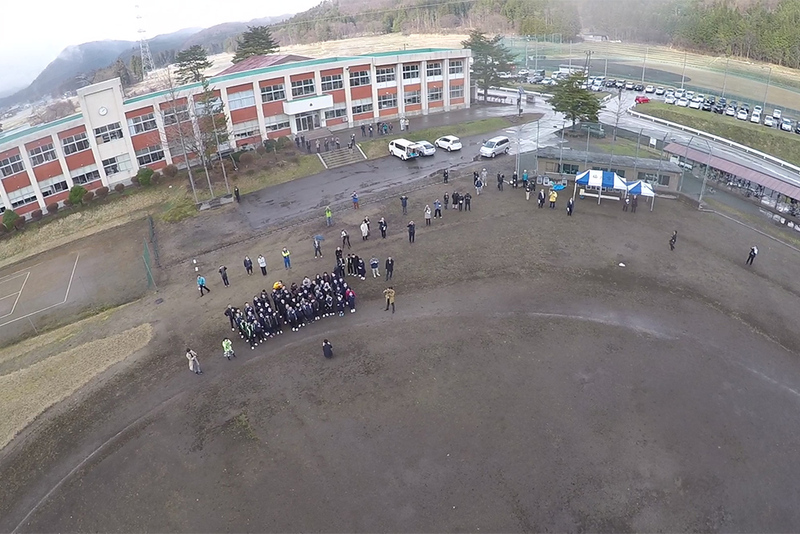 Proving test for transporting school library books successfully conducted with drones in cooperation with Senboku City and NICT. Prodrone Co., Ltd. (Nagoya, Aichi Prefecture, Masakazu Kono President) in collaboration with Semboku City, Akita (Mitsuhiro Kadowaki, Mayor) and the National Institute of Information and Communications Technology (NICT) (Koganei City, Tokyo, Masao Sakauchi, Chairman), successfully performed a demonstration of transporting books between school libraries with unmanned aircraft, or “drone”. This demonstration is a first of its kind since the designation of the city of Semboku as a “local creation zone” in August of last year to revitalize the local economy through drone applications. The drone airframe used in the demonstration. The elementary and junior high school libraries of Semboku had, a few years back, built an Online Public Access Catalog (OPAC) system for libraries of public schools in Semboku, however, because the teachers needed to deliver the books, the system was very rarely used. 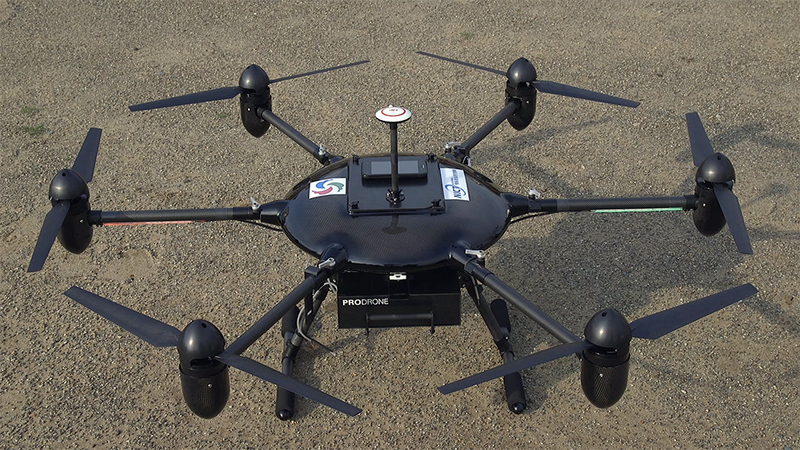 PRODRONE and NICT, put together a drone delivery system in conjunction with this OPAC, controllable with cloud services on Android devices and PCs. Next generation encryption security was developed with NICT for the project, paying the utmost attention to safety. The application of a drone for delivery services met with all eyes that day. 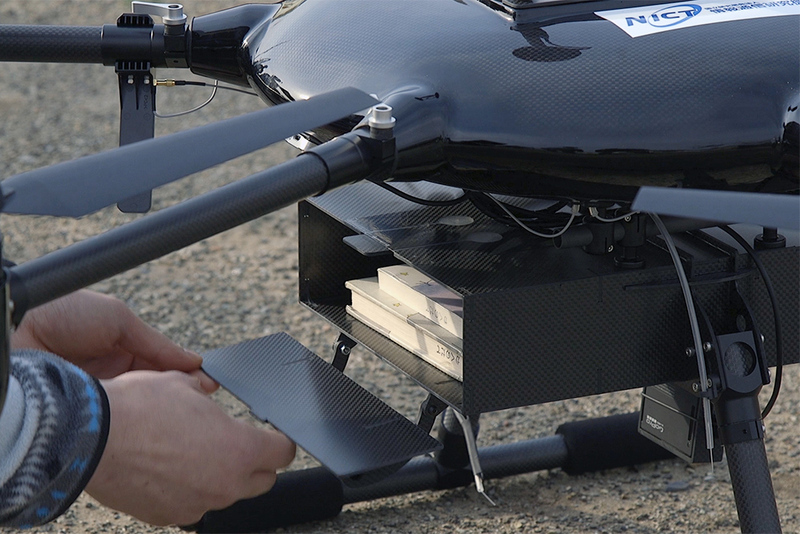 The PRODRONE developed, Library Delivery Drone Manager. Deliveries are carried out through the connected OPAC for schools in Semboku. 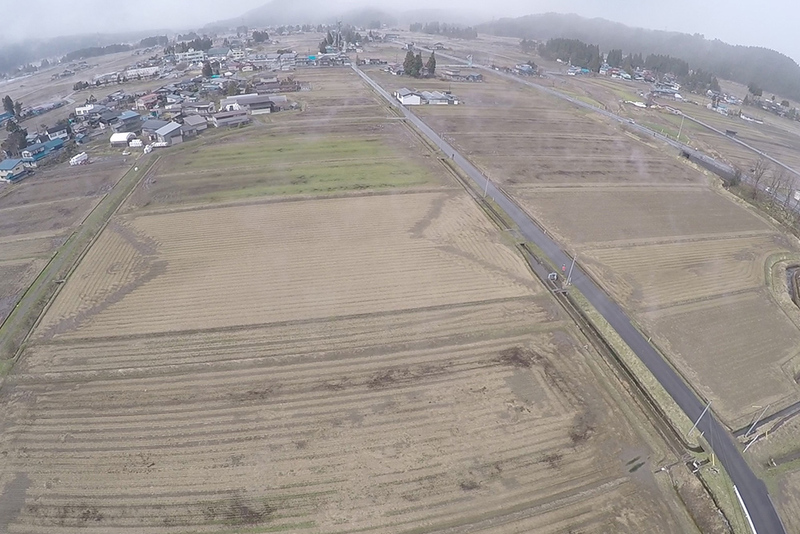 Using this “Drone Zone”, we want to help the elementary and junior high students achieve their dreams, spoke Semboku mayor Mitsuhiro Kadowaki. 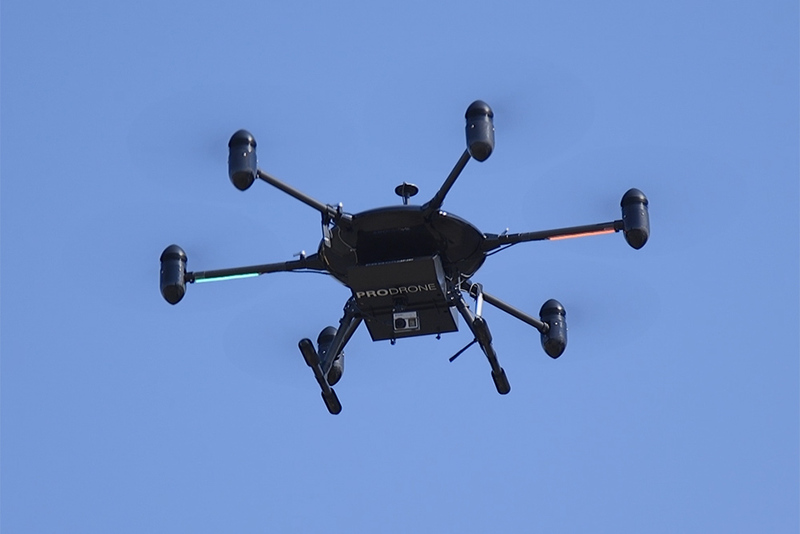 To make that sentiment real, the April 11th demonstration was carried out by a PRODRONE made, all-weather drone (PD6-AW DELIX Variant), customized with a case to carry the library materials, and autopilot navigation features. It carried three copies of “The Little Prince” (a total weight of about 1kg) about 1.2km from the Saimyoji elementary school to the Saimyoji junior high school. The flight was done at an altitude of about 50m for 10 minutes. Take-offs and landings are handled by the operator. When the drone reaches an altitude of 50m, it switches to automatic navigation. Flight routes, houses and other obstacles are avoided and the safest route possible is chosen. Just below the drone is drives the monitoring vehicle. When the car has to wait for a red light while crossing the street, the drone adjusts and hovers in stand-by until the car can proceed. Features like these provide safety on all levels.